Today, a holster maker that doesn't offer an S&W M&P Shield holster is probably not long for this world. It is one of the most popular concealed carry pistols and for many good reasons. In many ways, it's a Goldilocks gun because it's small enough to easily conceal but large enough to be carried in other ways in case a person likes that. After all, some people do like to carry OWB or open carry on occasion, which a pocket pistol isn't necessarily the best for. But the typical Shield holster only allows you to choose one way to carry. If you want flexibility in how you carry, you need to buy multiple holsters...unless you didn't have to. 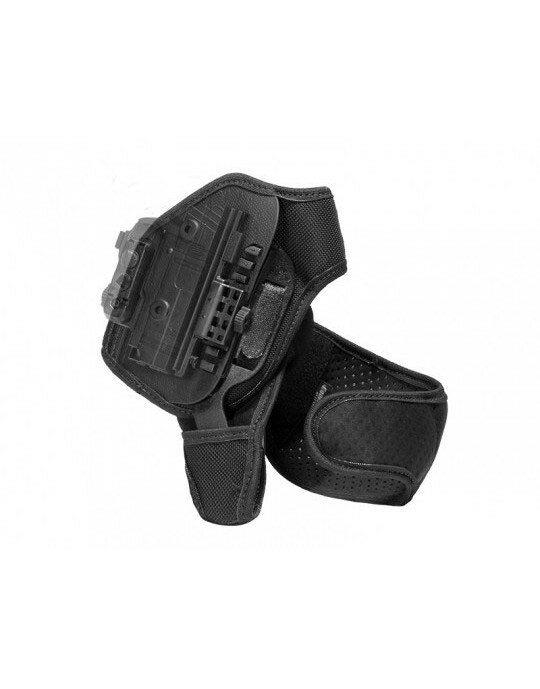 Alien Gear's ShapeShift Shield holster allows you exactly that flexibility. The ShapeShift isn't a holster; it's a modular carry system that allows you to carry in any manner you see fit. It only requires shuffling a few components in a matter of seconds. If you like variety in how you carry your M&P Shield, the ShapeShift delivers exactly that. The secret is our shell system, which was developed over a two-year period. 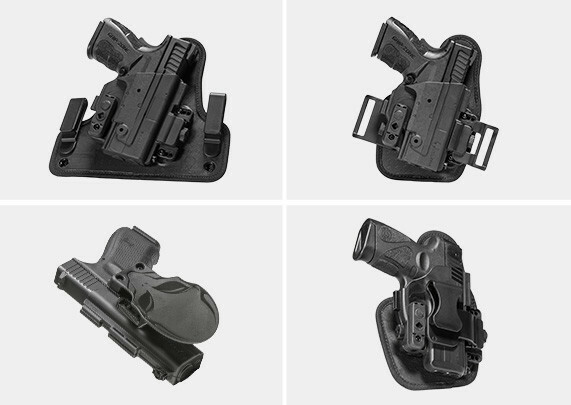 The base ShapeShift M&P Shield holster kit includes one full Shift Shell and two trigger guards, along with two backing pads and multiple belt attachments. The shells fit together by means of interlocking rails and twist locks, which fasten without needing tools. Retention is also fully customizable, and you can set the passive or active retention to your desired setting in every M&P Shield holster configuration. You select the configuration you want, whether you want an open carry or Shield concealed carry holster. 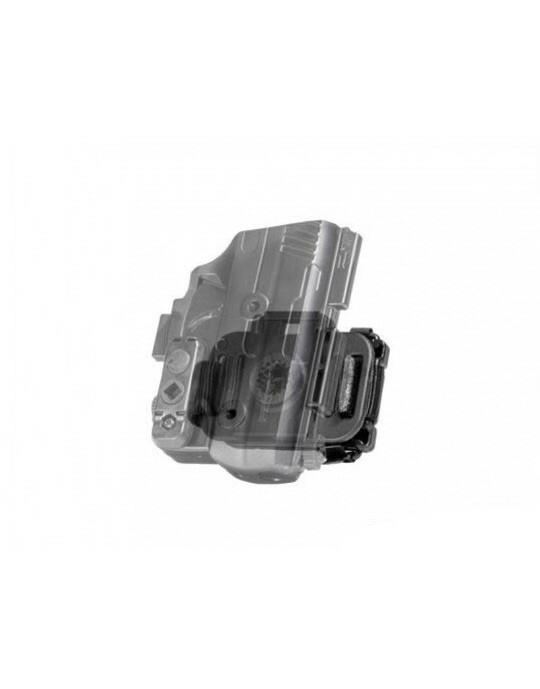 You can select one of two M&P Shield IWB holster configurations, by attaching a half-shell with trigger guard attachment to either of the two backing pads. For a traditional IWB carry, select the larger backer and attach the shells. This gives you the classic winged IWB hybrid holster format. You may even notice the backers are the same materials as our Cloak Tuck 3.0 holster, with a neoprene backer and Alien Skin surface. The belt clips are, just like the 3.0, adjustable for ride height and cant. Or you can select the smaller backer and attach the larger IWB clip, which creates a Shield appendix IWB holster. With Alien Gear's backing material, this will be one of the most comfortable appendix carry holster you're likely to experience. However, some people like to concealed carry outside the waistband. If you prefer that kind of carry, attach the belt slide attachments to the small backer and you have a high-ride Shield OWB holster. 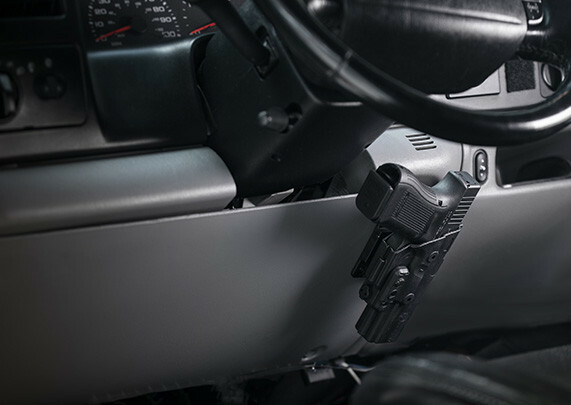 This high-riding hybrid OWB holster rides high and tight, hugging to the body and concealing easily under an untucked shirt or light outerwear. You can also assemble both full-length shells for a full wraparound, and insert the paddle attachment for an ultra-durable Shield paddle holster. The ShapeShift also comes with Alien Gear's Iron-Clad Guarantee, including a 30-day "Test Drive" trial period. 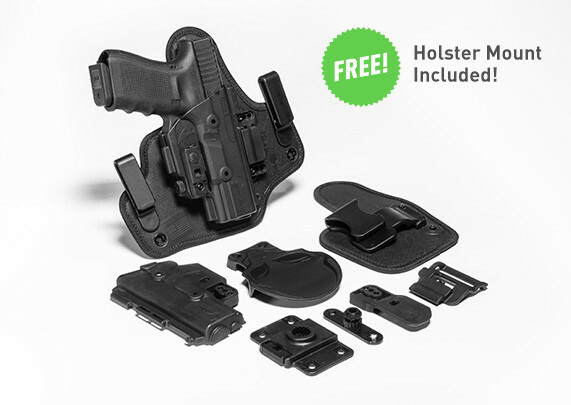 Take the first 30 days of owning the holster to test it out and see if it's the carry system for you. Contact us before that period is up if not, and we'll buy it back. We also warranty the holster for life. Any issue that should arise, regardless of how it happens, will either be fixed or we will send you a whole new holster - as long as you have one. You may find yourself wondering why you carried with anything else.